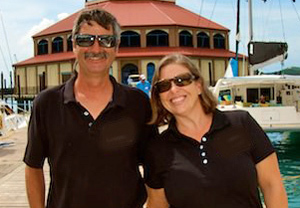 Jody and Paul want to share their birthday months by offering a special celebration deal for new bookings for charters taken in March and April 2018. Plus, a special bonus is added if there is a guest birthday in March or April! Twilight Rodeo is fully air conditioned and accommodates up to 8 guests in 4 Queen cabins. The three interior guest cabins have ensuite head (electric)/shower, while the 4th Queen cabin located forward between the hulls shares a head and is only accessible from the deck (inquire). 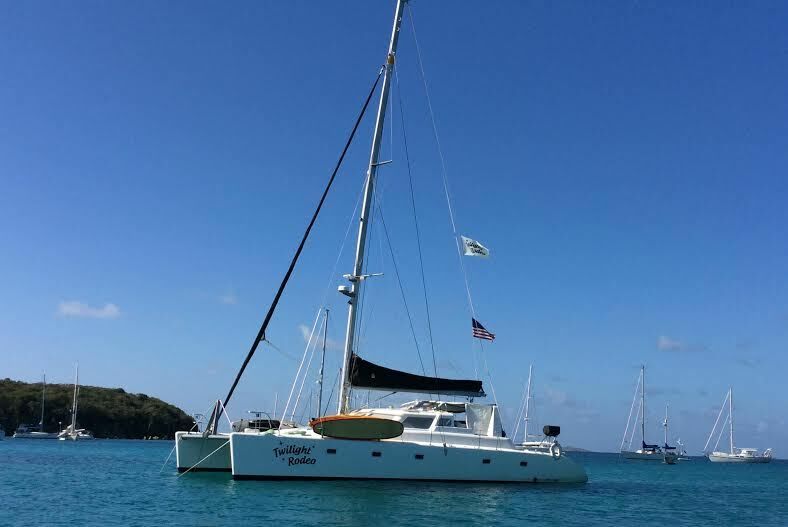 We added three new charter catamarans today and have updated our multihull rates page, where you can find rates, links to specials, dive info, and our online brochures. 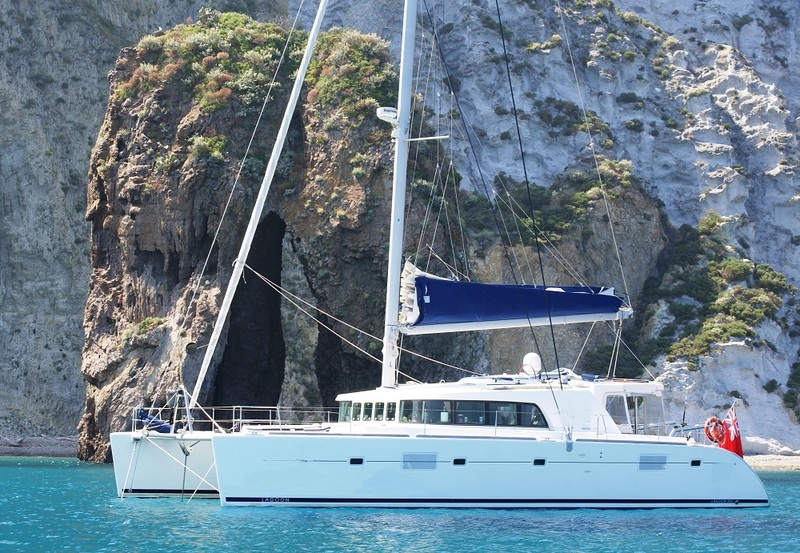 New in 2014 this Helio 44 version offers guest accommodation for up to 6 guests in 3 well-appointed guest cabins with walk around queen beds. Up on deck, the skylounge features additional space for lounging or enjoying a good book. Dolphin Splash offers diving with Captain Andrew as your Dive Master. Chef/Hostess and first mate Amanda is has attended the well-known Ashburton Chefs Academy and holds a level 2 certificate. 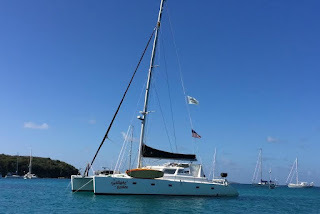 Dolphin Splash will be ready for charter in the Virgin Islands in May upon completion of mast installation. Gambit has arrived from the Med and is in the capable hands of Doug and Val Fairfield. 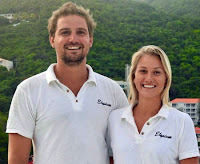 You might know them from their previous yacht, Katlyn. This Lagoon 500 features 4 spacious cabins with ensuite bathrooms for up to 8 guests. The foredeck lounge area offers room for guests to lounge while underway or at anchor. The yacht has full, A/C, and Wi-Fi. You can be assured that Doug and Val will make every effort to take care of any requests you may have. Gambit is offering low introductory rates. These rates will go up next season so book now. 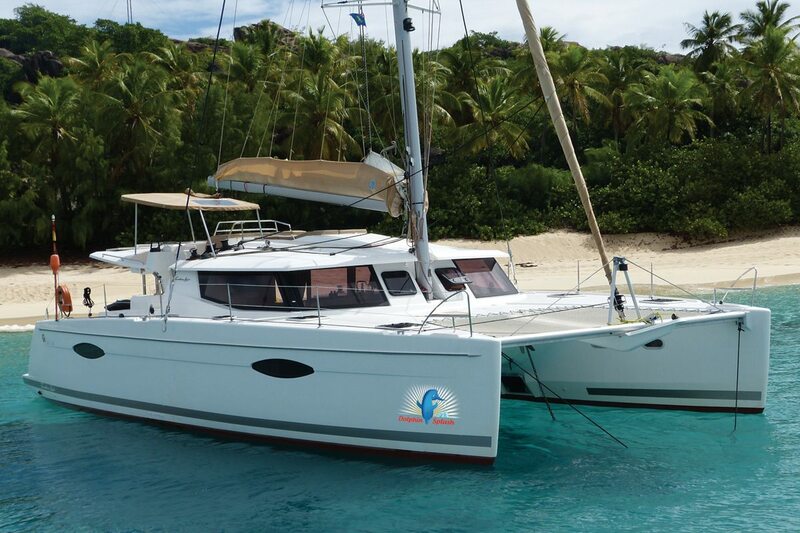 Available for charter starting in March through 15 July 2018 in the Virgins Islands, and from late July through October in the Grenadines. Slivochka, a Sayna 57, accommodates 8 guests comfortably in 4 queen cabins, each with walk around bed and ensuite bathrooms. The cockpit has seating for 8 and wet bar complete with drinks fridge. Along with the raised aft lounge area, Slivochka offers a sky lounge perfect for sunbathing and sipping cocktails at the end of the day. Slivochka is helmed by Dylan Fairfield who literally grew up on the world's oceans. Chef Erika is having fun creating in her galley. Here's a look into some of her dishes. Top left: VI Coffee Rubbed Grilled Salmon, served with a fresh Feta & Sprout Salad topped with Heirloom Tomatoes and a Homemade Citrus Dressing. Top right: Coconut Curry Stuffed Avocados with a Paprika & Spicy Mayo. Bottom left: Blackened Fish Tacos with a Homemade Mango Slaw and Carib Corn Salad served with Black Beans. 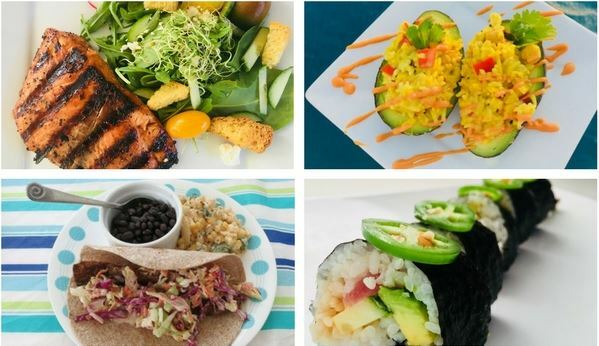 Bottom right: Chef's Choice Salmon Roll with Cucumber, Asparagus, and Avocado topped with Spicy Mayo and Jalapenos. If you ever really needed an excuse to play with your food, come aboard Free Ingwe. 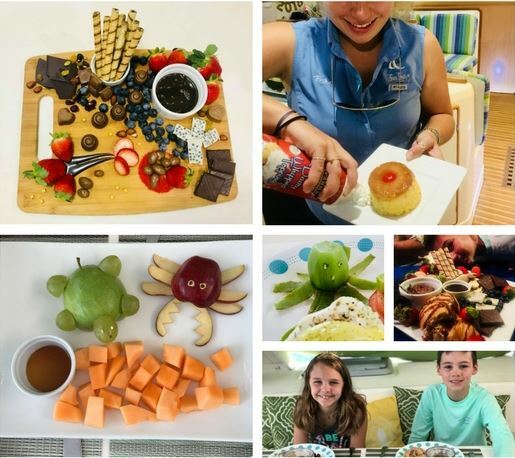 Chef Erika loves creating fruit animals inspired by her guests' snorkeling and diving adventures. She also enjoys baking and has a personal sweet tooth that is always looking forward to dessert. One unique dessert tradition on Free Ingwe is the Chocolate Grazing Board... it's awesome! 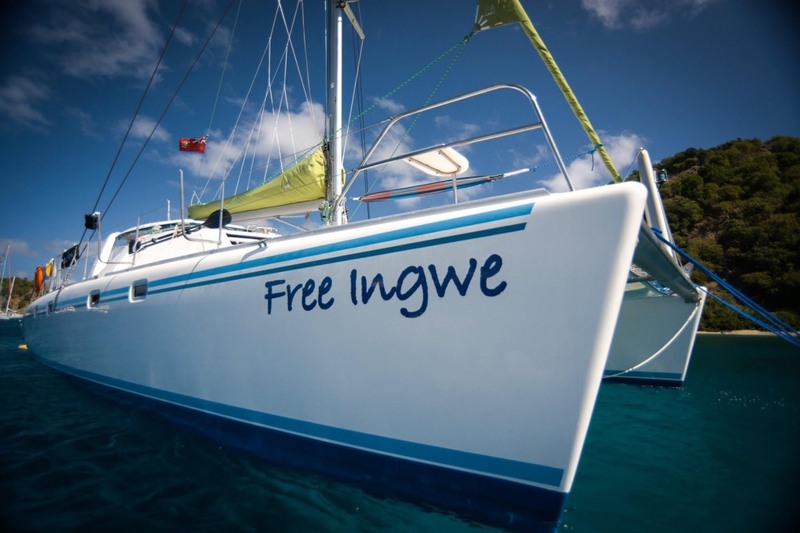 Free Ingwe is a 45-foot Leopard catamaran with a crew of two, Tyler and Erika. Free Ingwe is fully air conditioned and accommodates up to six guests in 3 Queen guest cabins with ensuite heads. They have a 14-foot dinghy with 60HP motor, adult waterskis, tube, kneeboard, wakeboard, 1-person kayak, 2 standup paddleboard/kayak combos, fishing gear, registered BVI fishing vessel, snorkel equipment, hammock, underwater camera, TV/DVD in the salon, etc. High speed WiFi on board for guests with 5 GB per charter. Free Ingwe has two Dive Instructors and offers 2 dives/day (up to 10/wk) to certified divers. No diving on first or last day of charter. 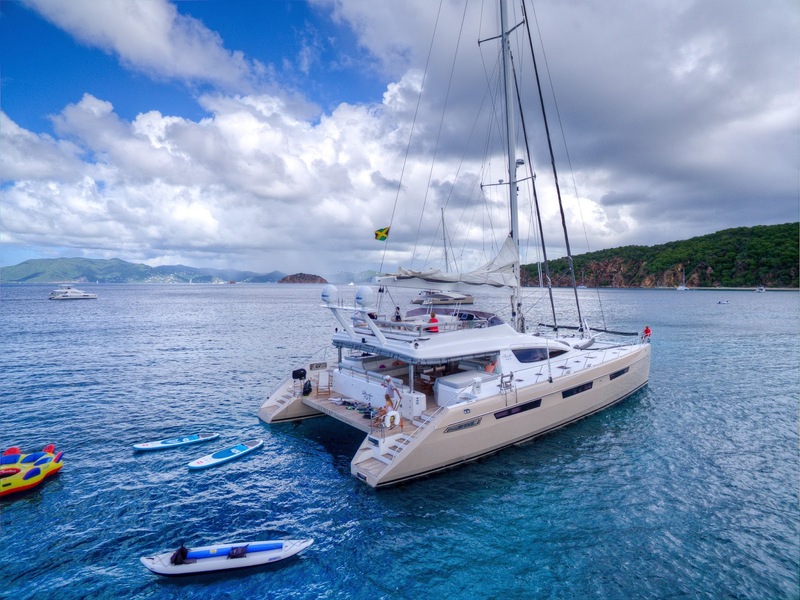 Captain Dirk and Nina-Sue are eager to fill their calendar this spring on the beautiful, 62-foot Privilege catamaran, Elysium. Take 10% off 7-night rate for all charters taking place now through 30 April 2018. Dive Master: Elysium offers 5 dives/wk to certified divers, gear included. King size master stateroom with private head and stall shower. There are two VIP cabins with king beds also with private ensuite heads and separate stall showers. Forward is a twin berth with private ensuite head and wet shower. The twin cabin is accessible from the deck via a private entry and is perfect for a teen or single adult. 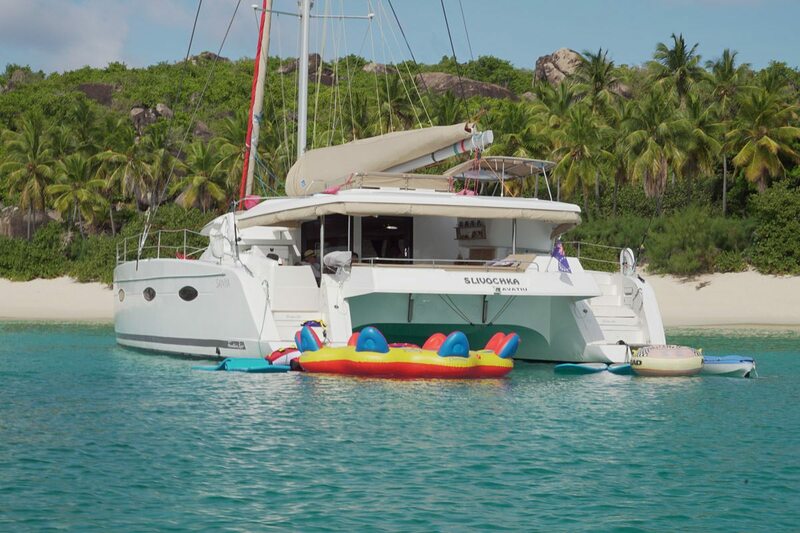 XENIA 74, a 74-foot Privilege 745 catamaran, is offering an amazing deal for guests for the next three confirmed charters that end before 15 July 2018. For 2 guests, start with a rate of $32,000 and add $750 per person. 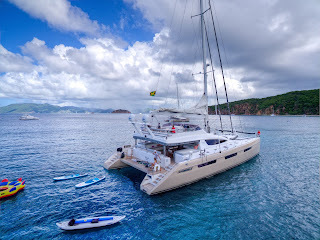 That equals $36,500 for 8 guests on this fully loaded catamaran with a superstar crew of 4. Offer only valid for the next three confirmed 7-night or longer charters in the Virgin Islands that end before 15 July 2018. XENIA 74 offers the perfect getaway. 1 master suite and 3 luxurious cabins accommodating up to 8 guests. Loads of outdoor spaces from the cockpit, aft deck, foredeck and the popular flybridge to soak up the warm Caribbean sunshine. 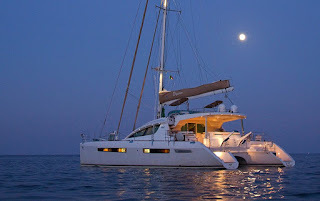 The yacht is equipped with a variety of watersports and a dynamic crew of 4 including an award winning chef and her ever popular flaming dessert.